« Are Protestants a ‘Tannenbaum religion’? Did the Vatican warn against Christmas trees? Back in Westminster, May’s refusal to commit to a timeline for a vote is inspiring speculation that she plans to “run out the clock” to force MPs into backing her deal by effectively leaving them two options: Her deal, or no deal. Parliament leaves for a holiday recess on Dec. 20, and won’t return until Jan. 7. Even if the EU relents and reopens the deal, May doesn’t expect material changes to be made. Her new strategy was perhaps best summarized by an anonymous cabinet source during an interview with a Bloomberg reporter. A Cabinet ally of May’s, speaking on condition of anonymity, put the prime minister’s strategy more charitably, saying that if the deal can’t go through then the only option is to keep talking – to EU leaders, in the hope they might offer something more, and to lawmakers, in the hope they might ask a little less. 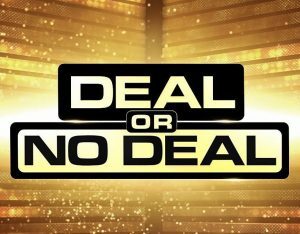 “Deal or No Deal” was the name of a television game show that was popular in the USA and UK for a time. It was essentially a high risk game that was based upon luck. Brexit is more complicated and serious. BRUSSELS (Reuters) – EU leaders will not renegotiate Britain’s Brexit deal, including the Irish border “backstop”, their chairman Donald Tusk said on Monday after Prime Minister Theresa May put off a parliamentary vote on a package that was facing heavy defeat. Now, Theresa May keeps hoping to get the EU Brexit deal approved anyway. At this stage, Theresa May seems to hope that given the option of her deal or no deal, that Parliament will choose her route. But no one is sure about that. She is playing a high stakes political game. This entry was posted on Tuesday, December 11th, 2018 at 8:00 am	and is filed under Prophecy.